What do I do when a reporter calls to talk about my research? Stay calm. Don’t answer any questions right away. Tell the reporter you’re about to head into a meeting and you’ll need to call them back. Ask the reporter their name, the publication they’re writing for and the nature of their story. Once you get off the phone, conduct a little investigation of your own. Does the reporter write about your field often? Do they write for a reputable publication? If you like what you find, you can call back and agree to be interviewed. Remember that even though reporters often work on deadline, saying “not right now” is always an option. If you’re not sure, you can always call the ACS Office of Public Affairs for help: 202-872-4440. How do I explain my research to a reporter? Practice an elevator pitch that explains your work in no more than 3 bullet points. Focus on the big picture. 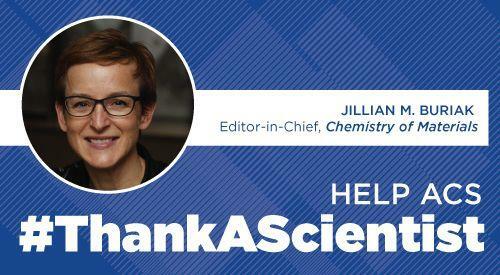 Many chemists like to talk about the mechanics of their research, but your audience is more interested in the impact of your work. What big questions are you trying to answer? What applications could your research have? What other avenues of inquiry does it open up? Once the reporter understands your pitch, you can go back and talk about the details. How do I make sure a reporter understands my work? Ask them. It’s okay to periodically ask a reporter “check-in questions” during the interview. Did your explanation make sense? Are the implications of your findings clear? Did they understand that important caveat? Just ask! Don’t feel awkward about asking reporters to explain your work in their own words. Remember your reporter is a professional too. They want to get this story right and will be glad for the chance to avoid any misunderstandings. What should I do during an interview? Print, radio, and television interviews each have their own special challenges, but there are a few best practices you should keep in mind for any interview. Speak simply and avoid jargon, but don’t condescend. Explain your work the way you would when talking to a family member or a friend. Smile, even if you’re speaking over the phone, assuming it’s appropriate to the topic. Your body language affects the way you sound and can help make a reporter more receptive to your ideas. If you’re talking on the phone, try looking into a mirror while you speak. This will help keep you engaged in the conversation. If a reporter asks a question that seems misleading or off-topic, use a bridge statement to bring them back to the core ideas expressed in your pitch. Then use a check-in question to make sure they understand your work. At the end of the interview, offer to help the reporter review any quotes from you that they might want to use. Reporters don’t typically let sources read a story prior to publication, but many are happy to let sources check their quotes for accuracy. You can use this step to make sure you’re quoted appropriately and to clear up any lingering misunderstandings. Why do I need to talk to reporters at all? It’s easy to refuse an interview request by saying the reporter “will only get it wrong.” But when a reporter reaches out to you, that’s a sign they want to understand your research and represent it well. After all, they could just read your paper and write a story based on that. Use the opportunity to help the reporter understand the context of your research and the impact it could have. By taking the time to talk to a reporter, you’re helping the public better understand the value of your field and the impact research like yours could someday have on their lives. How can I learn more about how to speak to the media? If you’re attending the ACS National Meeting, stop by the Office of Public Affairs Chemistry Ambassador booth for a Speak Simply session. You’ll get to deliver a pitch for your research on camera and then get pointers on ways to better explain your work to friends, family and reporters alike. Can’t make it? No problem! You can visit the Chemistry Ambassadors page for more tips. New Videos Ask Scientists: Why is Chemistry Central to What You Do?